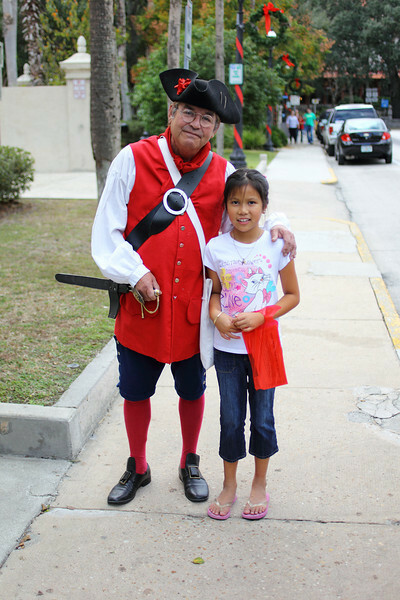 The Conquistadors first brought disease and religion to the native people of northeast Florida. The British followed suit with even more pestilence and "Redcoat" rule. The United States brought a Super Walmart. Finally, ChadSorianoPhotoBlog arrived to this east coast community of St. Augustine, Florida with meat. Lots of carne. 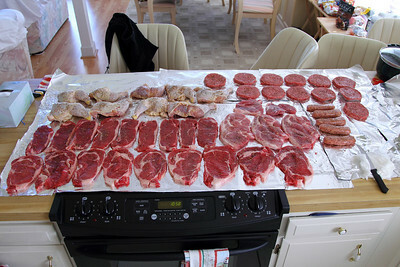 Raw muscle from almost every meat group for a holiday Thanksgiving. Spanish explorer Ponce de Leon landed his trade ships near the same shores of our beach house rental. He journeyed long and far in search of gold and new land. 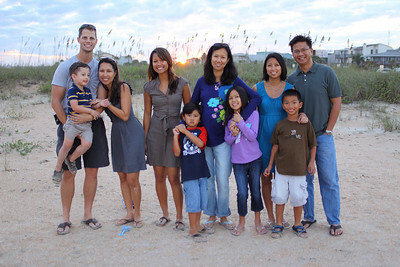 My family had sandy pursuits and St. Augustine tourist traps. The Spaniards had their own weapon of mass destruction to ward off hostile invaders at the Castillo de San Marcos. More potent than gunpowder was hormonal rage complete with Gucci purse and Coach sandals. We trekked into the Old City via St. George street with eyes wide open. From the oldest wooden schoolhouse to the plethora of "Tourist Trains" encapsulated by Spanish Colonial architecture. I soon discovered the former Spanish buildings now housed a Kilwin's of St. Augustine with my favorite toasted coconut ice cream. 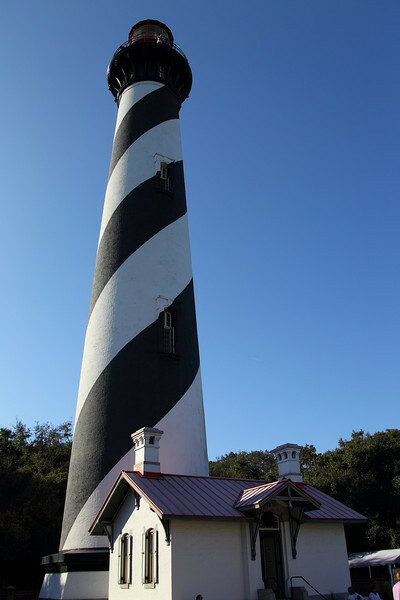 Off to Anastasia Island to see the St. Augustine Lighthouse with it's spectacular topside view. 219 steps later, we made it to the top. With a quick view of the bay and the inner workings of the Fresnel lens, we descended the 219 steps again in search of lunch. 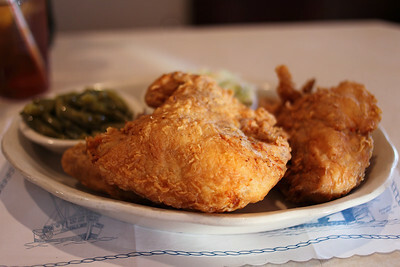 I Googled "fried chicken" which pointed me in the direction of an Anastasia legend called O'Steen's Restaurant. I ordered the signature Fried Chicken while my family ordered the Fried Catfish, Clams, Liver and Gizzards. Fantastic describes the experience. Topped off with their special "Datil" cocktail sauce and accompanied with their seasoned hush puppies, O'Steen's Restaurant is definitely on my "must do" list while in St. Augustine. 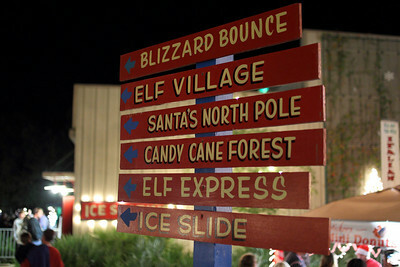 Christmas in November came upon us with ice skating and sledding along with an Elf Village with no elves at the St. Augustine Amphitheater. My kids blasted through the overpriced carnival games and their cousin ice skated for the very first time at the WinterWonderland. Thanksgiving is behind us with more meat filled photos approaching the New Year. I used a Canon EOS 1D Mark IV with an EF 35mm f/2, EF 50mm f/1.2L and EF 24-105mm f/4L IS lens. 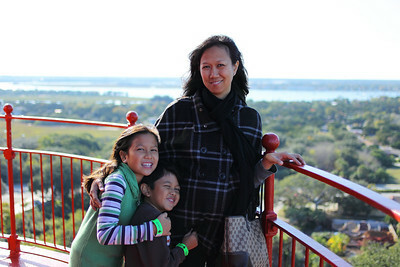 You can view more pictures and videos in my St. Augustine Thanksgiving 2010 Gallery. Found your blog by searching 'T3i'...glad I did. Great camera reviews and great shots. We were right here in St. Augustine 5 months before in 2010...small world. Amazing city. Keep up the blog, it's great. The ScoopFree Self-Cleaning Litter Box litterboxhubCloud is the self-cleaning litter box that Best Cat Litter Box Hub Review you could lay off for weeks Best Cat Litter Box Hub Review at once. It's the only self-cleaning can that More Info utilizes disposable clutter trays to offer hands-off comfort weblink as well as unequalled odor control.